Spring is just around the corner and the Puglian countryside is a hive of activity at the moment. 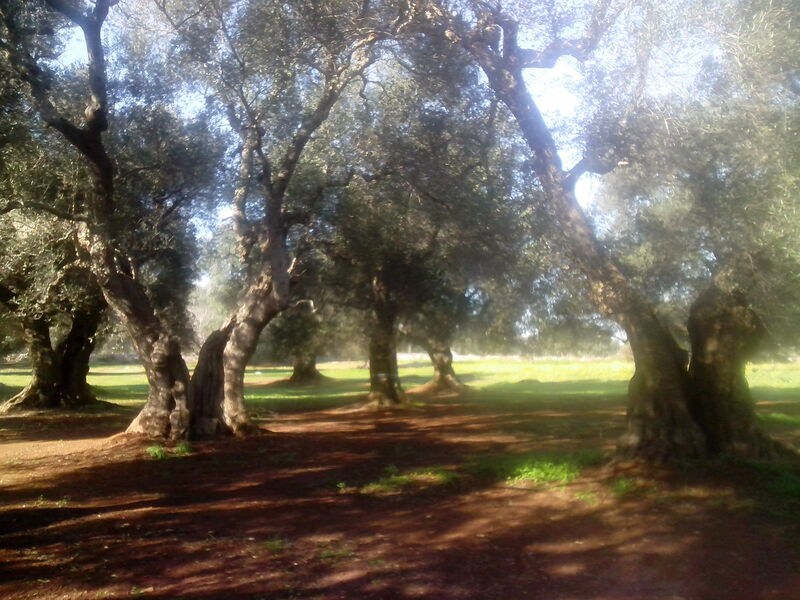 The sound of chainsaws fill in air as the ‘contradini‘, farmers are busy pruning the olive grooves, in readiness for the trees to spring into life in a few weeks. However, this isn’t as straightforward as you may think, you can’t simply hack the trees and hope they produce good quality extra virgin olive oil. It’s a skilled job and, some might say, an art form, as my belated neighbour, Nino, explained when he saw my husband trimming our trees a few years ago. Nino was known in the neighbourhood as the ‘Maestro‘, and despite being the grand old age of 83, he was still very passionate about the olive trees and was keen to pass on his knowledge to his novice British neighbours. He was soon up the tree explaining which branches to cut, which to leave and why. The form of the tree should look like a goblet, with internal branches removed, in order to allow the sun and wind to penetrate threw it, to concentrate the fruit and to make harvesting the olives easier. After demonstrating how to trim the trees, my husband was let loose, under the watchful eye of Nino. I thought my husband did a good job, but apparently it wasn’t good enough for Nino, so he got back up the tree to finish the job off properly! Only another 48 trees to do! Now, each year when it’s tree trimming time, we think of Nino looking down on us and hope that he’ll be happy with our handy work! But the work doesn’t stop there, there’s the land to rotorvate and each tree needs fertilising with ‘concimi‘, feed. Then, in a few weeks time, there will be new growth on the trees and the blossom will start to bloom. However, the first signs of spring appear on the almond trees, these are just beginning to show their beauty. Small pinkish white flowers have just appeared, as if by magic, they have been woken from their dormant state. Soon the air will be filled with their incredible scent and Spring will officially be here! ← Did Putignano Carnival Live Up To Expectations?